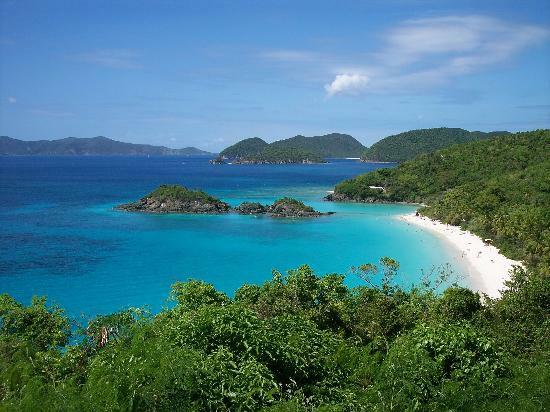 When one thinks of the US Virgin Islands, one thinks of tropical Caribbean beaches, huge cruise ships moored in the port and cheap alcohol and jewellery. Unsurprisingly, football is not one of the first things that spring to mind. Or soccer, as they would call it. However, the current qualifying campaign for the 2014 World Cup in Brazil has seen the continuing progress of the national team, having recorded their first ever victory in a competitive match and qualifying for the second stage for the very first time in their history. When the first match of qualification for the 2014 World Cup took place, the US Virgin Islands lay in 200th position in the FIFA world rankings. Only six teams were ranked below them: Andorra and San Marino from Europe, Anguilla and Montserrat from the Caribbean and Papua New Guinea from Asia and American Samoa from Oceania. Drawn to play against their close neighbours, the British Virgin Islands, hopes were high that they might be able to grab a result. 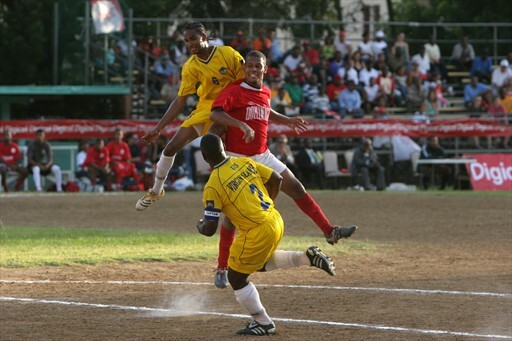 The British Virgin Islands had been the opponents in their first ever international match back in March 1998 – a match which the US Virgin Islands had surprisingly won by a single goal. However, since that momentous occasion, international football had been more of a challenge. In the 25 matches since that debut win, they were still to record a victory, drawing six and losing the other 19, registering only 11 goals and conceding a huge 145. The lowlights included a 10-0 defeat against Grenada, an 11-1 demolition at the hands of Jamaica and an 11-0 thumping against Haiti. However, recent matches had been more promising. 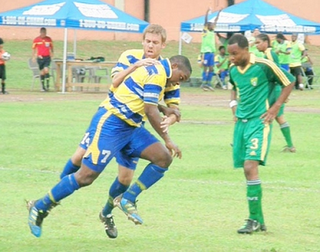 A pair of draws against the British Virgin Islands in successive days back in 2008 broke a four year losing run, although it was followed soon after by the previously mentioned 10-0 defeat against Grenada – albeit a strong Grenada team with the likes of Jason Roberts and Shalrie Joseph. They did not play another match for over three years until drawing a friendly match against Anguilla on June 19th, 2011. Hardly a result to inspire confidence, but a young squad including a number of US collegiate players showed enough to suggest that an upset could be on the cards in the upcoming qualifiers. The day of reckoning for the US Virgin Islands came on the 3rd July, 2011. In front of 350 fans at the Lionel Roberts Stadium, they were able to record a 2-0 victory over their island neighbours – their first win in 13 years, doubling their previous total goal tally in World Cup qualifiers. Alderman Lesmond gave them the perfect start after only six minutes, meeting a cross from Reid Klopp, to make it 1-0. Lesmond was playing in his first ever match for the US Virgin Islands, having previously represented the Leeward Islands in cricket. Reid Klopp doubled the US Virgin Islands’ lead on 53 minutes, proving himself to be one of the islanders’ key players in only his first ever game for the country. Formerly a star of the Salisbury University soccer team, he had never intended to play international when moving to the US Virgin Islands; rather he had moved down to coach youth football, but he was spotted in the local leagues and invited to play for the island. 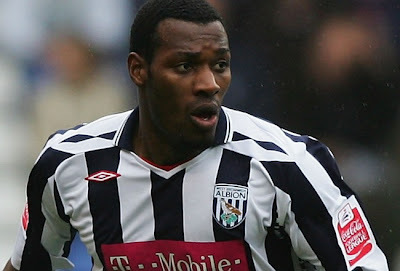 The British Virgin Islands were reduced to ten men in the second half when Jhon Samuel was sent off and that was to be the end of the events for the match, leaving the US Virgin Islands on the verge of qualifying for the second round. Given that the country has only 900 registered players and 10 registered clubs, it was set to be a momentous occasion for the team and their fans. To put this into some form of perspective, the Bahamas has 2,544 registered players and 41 registered clubs, while Haiti has over 24,000 registered players and 340 registered clubs. Come the second leg, a second minute goal from Dwayne Thomas sent the US Virgin Islands on their way and despite an equaliser from Trevor Peters, a stoppage time winner from Reid Klopp secured qualification and a second victory in a week for the Dashing Eagles. In the next stage, they have been drawn in a tough group with Haiti, Antigua and Barbuda, and Curacao. Haiti will be the strong favourites to progress, whilst Antigua are the dark horses to challenge them. In reality, the US Virgin Islands are likely to face a difficult task to avoid finishing bottom given the strength of Haiti and Antigua, and the newly formed Curacao team who boast 13 players playing in Holland, as well as players from Germany, England and Australia, including former West Brom defender, Shelton Martis. However, they can take a lot of pride from their results so far and with 10 players under the age of 21, there is plenty of scope for improvement in the future. Four of those players are currently playing collegiate soccer in the US; defenders Ayinde Augustus, Alberto van Gurp and Derrick Smith are at Daytona State, Virginia Tech and the University of Pittsburgh respectively, whilst midfielder MacDonald Taylor Jr. is at Seton Hill University. Up to 149th in the latest edition of the FIFA World Rankings and with morale at an all-time high amongst the squad, they will be looking forward to testing themselves against the likes of Haiti and looking to avoid the kind of defeats that had become a feature of the early years. And who knows, sometime in the future they may progress enough to secure a match against the USA.